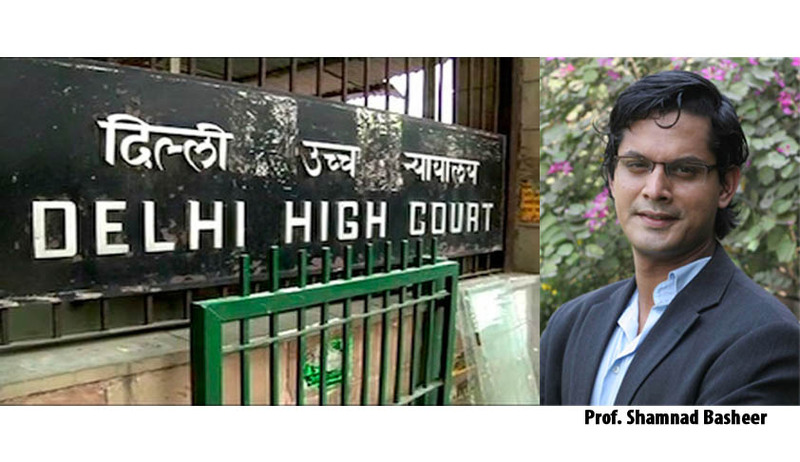 A Delhi High Court Bench comprising Chief Justice G. Rohini and Justice Jayant Nath has reportedly sought a reply from the Government on Prof. Shamnad Basheer’s PIL regarding patent working norms. The Government had been ordered to file its reply within 4 weeks. The matter is not posted to November 17. Prof. Basheer was represented by his counsels, Abhimanyu Bhandari and Sai Vinod. Prof. Basheer has prayed for a direction to compel patentees and licensees to comply with the statutory mandate to declare information on the working of their patents, as per the Patents Act, 1970 & Rules thereunder. SpicyIP had previously brought to the notice of the Indian Patent Office through their SpicyIP report showcasing that most of the major pharma MNC’s routinely violate patent working norms. The Petition contends that without full and complete patent working information, it is very difficult to trigger the compulsory licensing and revocation provisions. “That the inaction by Respondent authorities enables patentees to escape public scrutiny of their efforts in working their patents, thereby causing prejudice to the social bargain underlying the patent system and undermining its very objective. And making it more difficult to trigger the compulsory licensing and revocation provisions, and consequently impacting the public at large by denying them potentially cheaper and more accessible products and services, particularly affordable medications,” it says. It relies on a survey conducted by Prof. Basheer in April 2011, which had highlighted widespread non-compliance with the FORM-27 filing requirement by leading multinational pharmaceutical companies in relation to their patented drugs. The survey revealed a blatant disregard for an important statutory mandate, with close to 35% of the patentees failing to disclose their patent working status during 2009 to 2012. Even among those patentees that purported to make this disclosure, the said disclosures were highly defective, inasmuch as they were either incomplete, negligent or incomprehensible. The petition brought to the Court’s notice that no action had been initiated against any of the errant patentees, as disclosed by RTI applications filed by Prof. Basheer. “What makes this government inaction even more egregious is the fact that the blatant non-compliance was already brought to the notice of the government four years ago through a similar investigation conducted by the Petitioner in a public report titled “The ‘Non-Working’ of the Patent Office ‘Working’ Requirement!””, it says. The Petition also submits that the present format of FORM-27 disclosure specified under the Patent Rules is wholly insufficient to fulfill the objectives of the Patents Act. FORM-27 provides the format for the mandatory disclosure prescribed under Section 146(2) of the Patents Act, 1970 read with Rule 131 of the Patent Rules, 2003. The disclosure needs to be made as to how far and to what extent they have commercially worked their patent. The Petition contends that FORM-27 lacks precision and fails to ask for several critical particulars that are necessary for an effective assessment of the commercial working of patented inventions. It further demands that proceedings be initiated against errant patentees and licensees who have failed to comply with the mandatory requirement of Section 146(2) read with Rule 131(1) of the Patents Act, 1970 and Rules. Form 27 filings were digitized in 2013, providing public access through an online searchable database. However this information is limited to FORM-27 filings for the years 2012 and 2013 alone. The online version also exempts patentees and licensees from declaring all relevant particulars under FORM-27. In particular, patentees and licensees need not submit information pertaining to the quantum of the patented product imported or manufactured as part of the online form. The online form is such that they are prevented from submitting this information, even if they wanted to. It hence prays to rectify the ‘comprehensive online filing services for patents’ to enable patentees and licensees to submit full and complete working information. In addition to this, they demand a direction to publish and upload the entire information relating to commercial working of all patents for all years of operation of the patent on their website. A committee of experts to suggest reforms to improve the public disclosure norms around the commercial working of patents has also been prayed to be constituted.